Believe me, I’m not moping. Because after three years, I think the Midwest and I are starting to understand each other. Mostly. There’s a whole season we’re still trying to figure out. 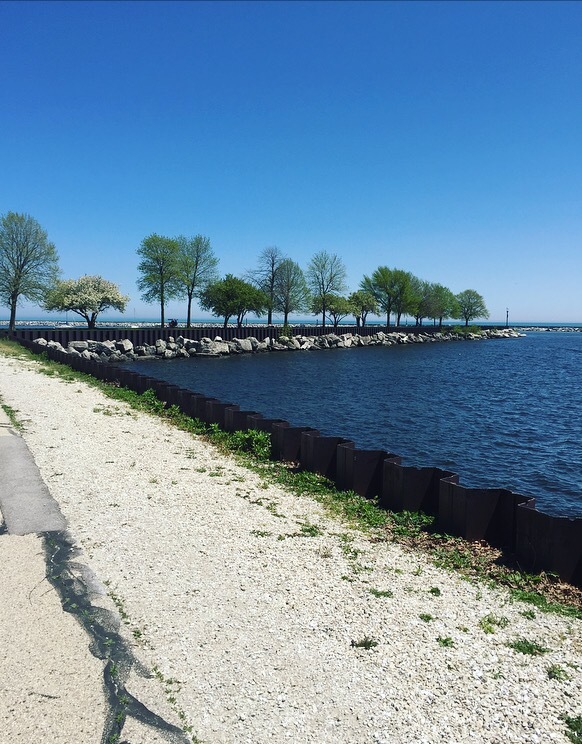 When I told people I was moving to Wisconsin, I frequently received befuddled, “…but why thoughs”? Yes, I was and also am insufferable. But to my credit, no one walked away from those conversations looking cute. But three years later, I took a 48 hour vacation to Milwaukee, and it was awesome. 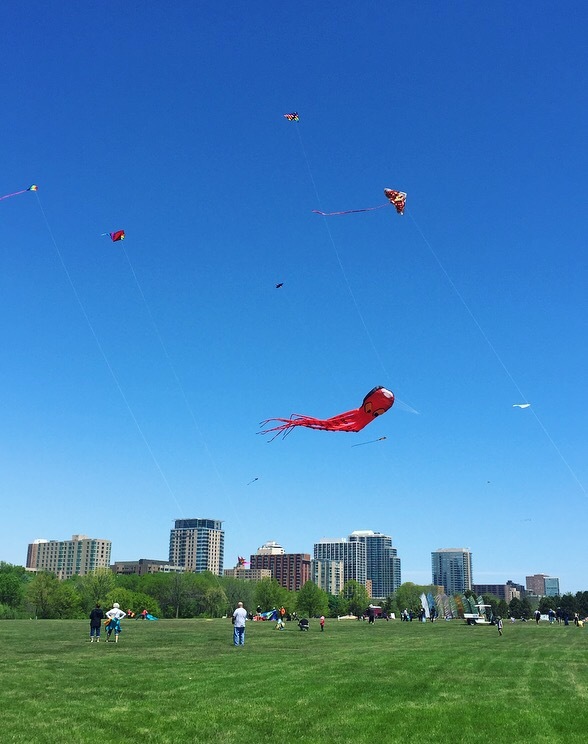 I spent 48 hours perusing outdoor sculpture walks, riding bikes along Lake Michigan, eating lots and lots of food, and stumbling on both a family kite festival and a Harley Davidson festival within 500 feet of each other. Side note: No one knows how to “festival” like Midwesterners. Actual reasons to hold a festival: Kites, Harley Davidsons, cheese, brats, Norway, alpacas, nature, chocolate, Bob Dylan, milk, butter, steamboats, wooden boats, balloons, and rhubarb. Because nothing says “party!” like steamboats and rhubarb! Being a museum professional in a past (and future? Right? Please? Beuller?) 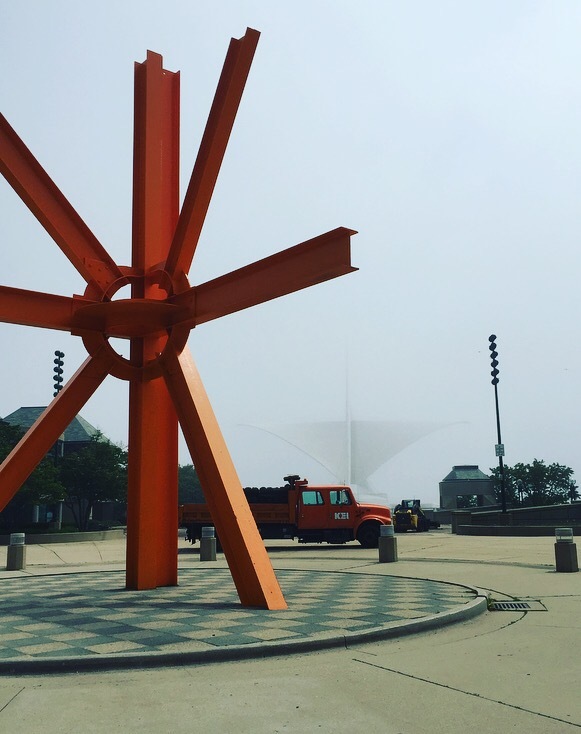 life, I made a point to visit the Milwaukee Art Museum. Which I would maintain does some of the most creative things in exhibition design and visitor engagement I have ever seen. And believe me, I’ve been to a lot of museums. No big deal, but I’ve been to the National Museum of Mustard….twice. A large portion of my graduate education took place in the halls of museums. We were frequently assigned exhibition reviews which meant we’d go to a museum or gallery, visiting a particular exhibition, and writing about how successful, or unsuccessful it was. How is the show marketed? How are they using their resources? Do they decorate the walls? Or are they left blank to be a clean canvas for the museum objects? How are they engaging visitors? Do they have wall panels? Programs to read? A fancy app because this is the future? Nothing and hope for the best? And most importantly, did people like it? No one will like you if you keep saying that. You were an intern, dumb-dumb. Every single museum is just doing the best they can, so I’ve found your trip to the museum will be that much better and less obnoxious if you approach the museum visit with the eye of a learner as well as reviewer. At first, exhibition reviews can feel very silly. One of my favorite exhibitions to review was “Century of the Child” at the Museum of Modern Art. It was a show examining how we educated and entertained children throughout the twentieth century. As a 25 year old, I loved the show. It was educational. there were interactive elements. It was whimsical while still being informative. The show became problematic when they decided to market it to “kids of all ages.” I visited the show twice. Once early in the morning when the crowds were sparse, and once in the afternoon when I went back to check the details on a few things. On my afternoon trip, I could hear the cries of tired children before I even reached the exhibition floor. Once I arrived, I could see every bench was occupied with parents and their wailing kids who had lost interest in children’s literature as a tool of propaganda in WWII. Lost interest in the German origins of elementary education. Were sad because the replicas of wooden toys from the forties were all taken by other kids. I think kids could visit the show, but it’s when all the kids are visiting the show, that things go wrong. Not everyone can spend an hour looking at the set of PeeWee’s Playhouse. It was a prime example of an excellent show being taken down a peg by a marketing misstep. It was this history of exhibition reviews that I brought with me to the Milwaukee Art Museum. 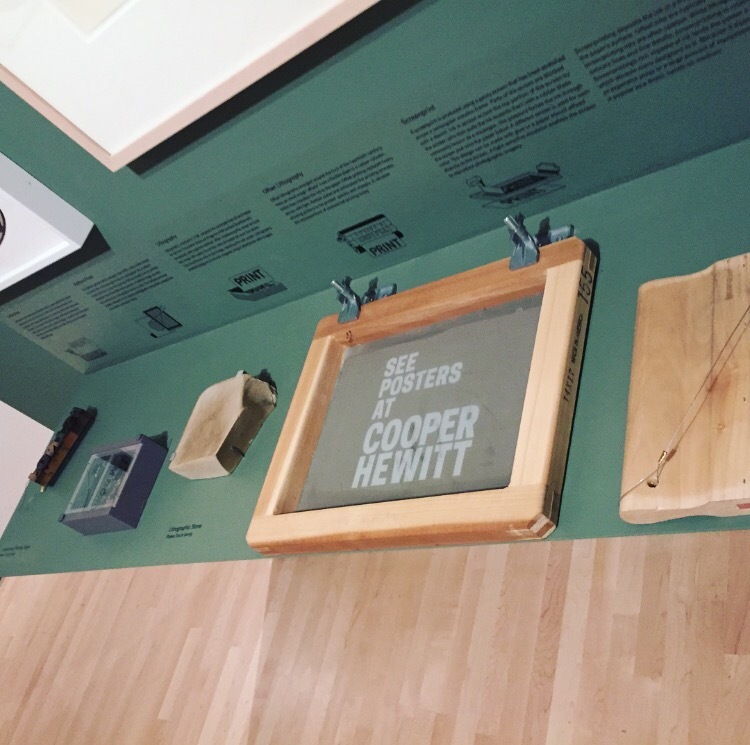 And on my most recent visit, I had the particularly interesting chance to assess a show I saw two years ago at the Cooper Hewitt Design Museum. 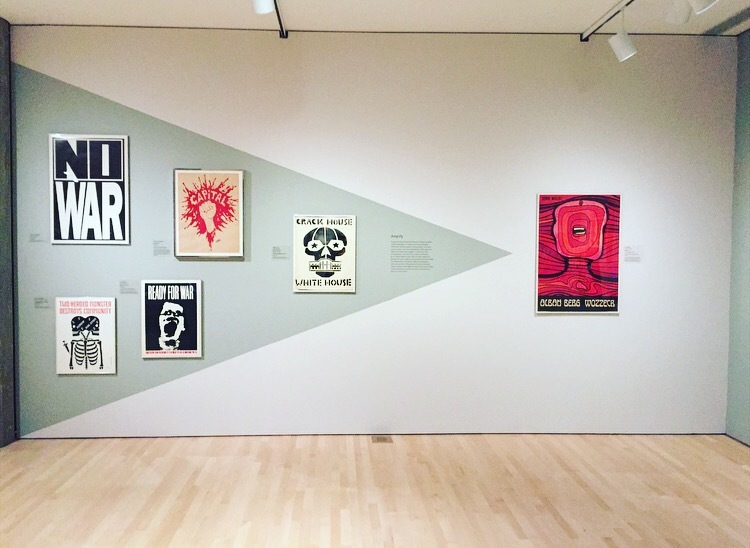 “How Posters Work” is an examination of powerful posters from the 20th century, and the tools the designers used to create their statements. 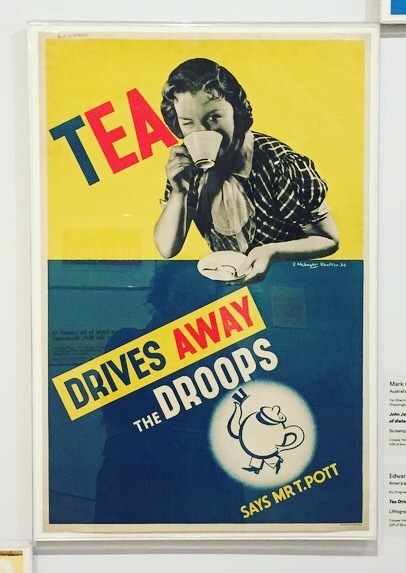 One of the exhibited posters. Herman Miller Company picnic. When I saw the show two years ago, I loved it, and when I saw it was traveling to the MAM, I thought it would be nice to see it again. I didn’t expect much to have changed. I made it as far as the ticket counter before I met surprise number one. The man handed me the exhibition’s companion text designed specifically for its Milwaukee stint. Not only was the marketing striking, but the text would fold out into a poster you could take home. The companion poster. Still figuring out what it means, but it’s 1) free! 2) a new way to use museum text! 3) VERY FREE! Ok, I’m a sucker for a freebie, but an educational freebie? Come on. Give the people a souvenir! Ok. Let’s review. And yes, this will be fun for everyone. Exhibition review tip #1: What’s on the walls? All right. Let’s be real. It’s a show about posters. It’s going to run flat, and shows like that tend to rely on the attention span of the visitors. Not everyone is a graphic designer. Not everyone is particularly interested in how posters work. The most successful shows create visual interest and depth to keep people in the galleries. It’s the museums job to get visitors and hang onto them. MAM found away to create that visual interest without conflicting with the poster designs themselves. Activate the diagonal: The posters that implement diagonal lines are displayed on a diagonal, giving your eye somewhere to travel. The show was broken into themes centered around design techniques like Amplify, Overlap, and Activate the Diagonal. And, seen above, these themes were built into the wall decoration and poster placement. Another way to soften the two dimensions, is to add movement. In each room there was a screen showing repeated animations. Without companion text for any of the videos, I didn’t totally…get it. But things sure were moving! And that is exciting! “WHAT’S OVER THERE? !” the 29 year old yelled to the quiet gallery as she went sprinting from room to room. Lastly, and this is something MAM does in every gallery, they made particularly excellent use of partitions to keep the eye moving. It’s one thing to walk from one room to the next, but when you can get little peeks of what’s in the next room, you want to keep moving. And once you’re there, you get peeks of what is in the next room. And suddenly you’re in the photo archives in the basement, and it’s been three hours and what’s my name again? 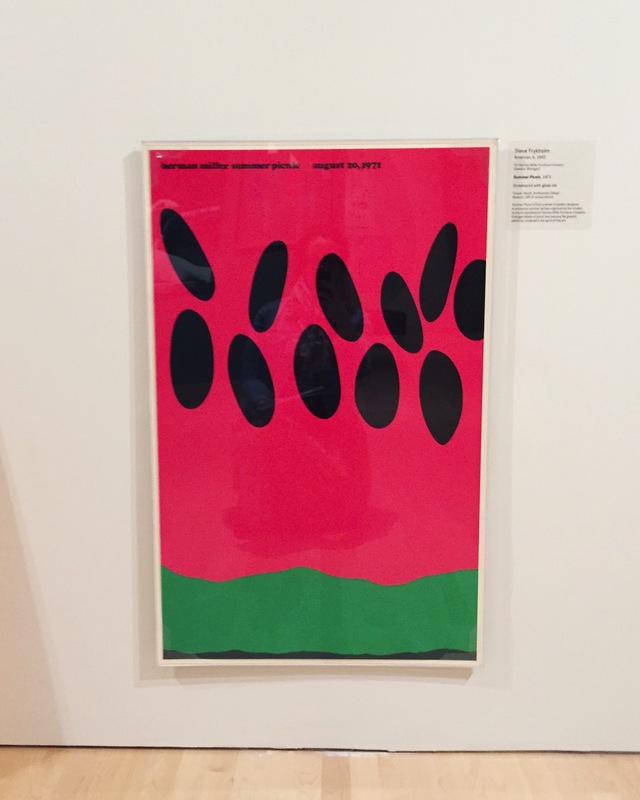 Exhibition review tip #2: Can I get grabby? People learn in different ways, and if you want people to more concretely take away lessons from a museum, let ’em get grabby! Give visitors something to put their hands on. There was a station where visitors could touch, pick up, mess with the tools of poster printing, and I would argue that for some people, for hands-on learners, those are the objects that will stay in their mind the longest. 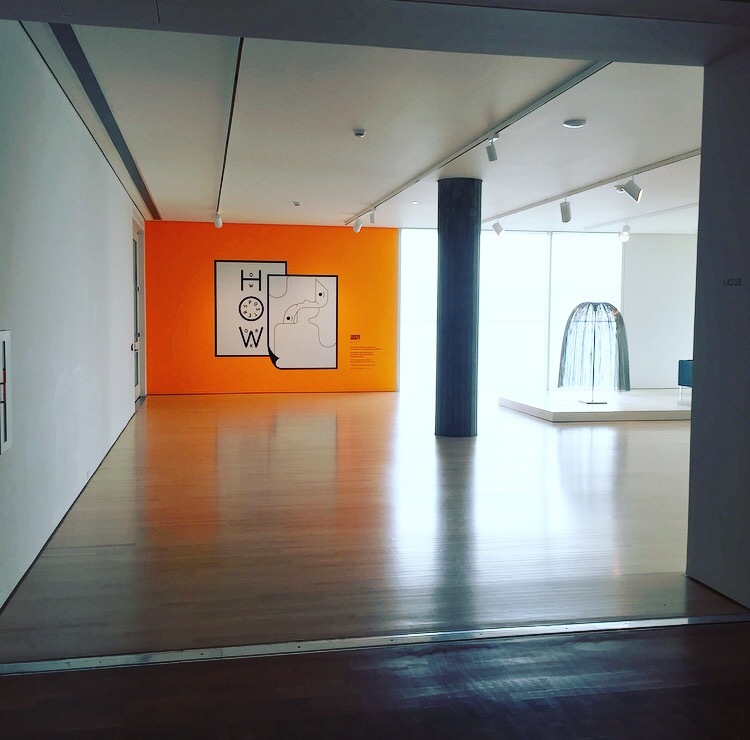 Exhibition review tip #3: How accessible is the information? Can I bring my kids? I think it’s fair to say that not all exhibitions are designed with kids in mind. Nor are they meant to be, but I love a museum that wants to make information relatable to all ages. 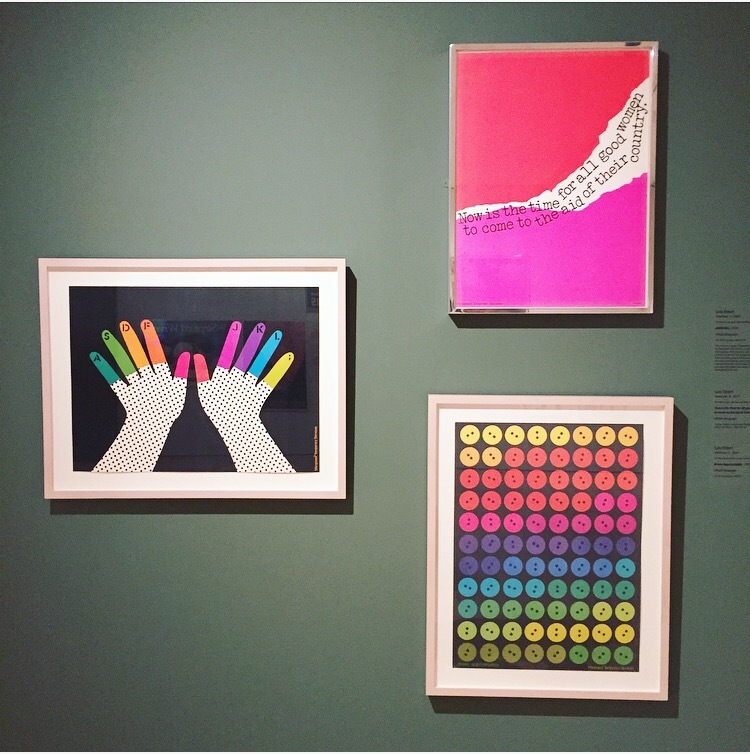 I’ve already called out the exhibition’s takeaway text, but at the exhibition doors, the MAM also included the “family guide.” It included activities kids could do as they go through the gallery that kept them engaged with particular posters. You can’t expect adults or kids to stay engaged every second of every museum visit, but the best museums give people the tools to make deeper connections. Conclusion: Two years ago at the Cooper Hewitt, this show was the main attraction, and was exhibited in the darker wood-paneled rooms of Andrew Carnegie’s mansion. 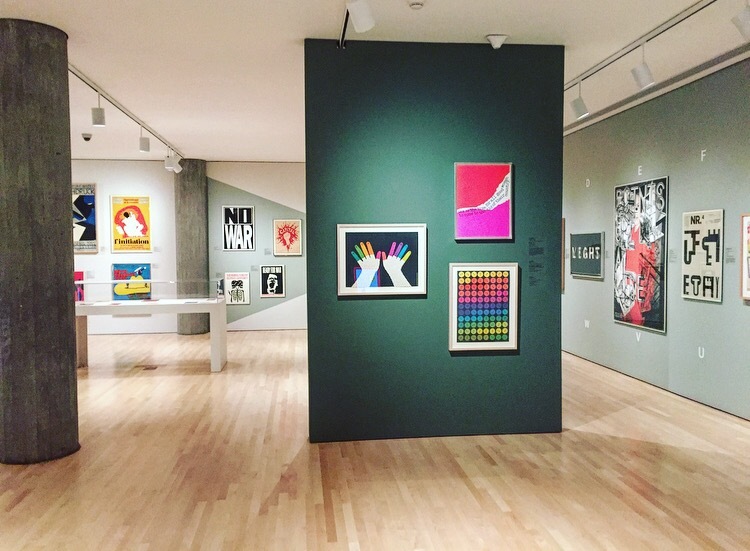 While the space was beautiful and rife with history, after seeing the show at MAM I can confidently say, poster design is best served in clean, bright spaces. Also, I got a free poster, so maybe, three-years-ago-judgey-people-myself-included, there are reasons to move to Wisconsin. I think people on the respective coasts have preconceived notions about the Midwest, but there is a thriving creativity, joy (“The sun is out! Let’s have all the festivals!”), and supply of delicious cheese curds if you know where to look. If you find yourself in Milwaukee and feel like a trip to the museum, I also recommend “A Social Event Archive” as well as searching out the MAM’s collaboratory, the room dedicated to the collaborations with the area’s teenage leadership program. 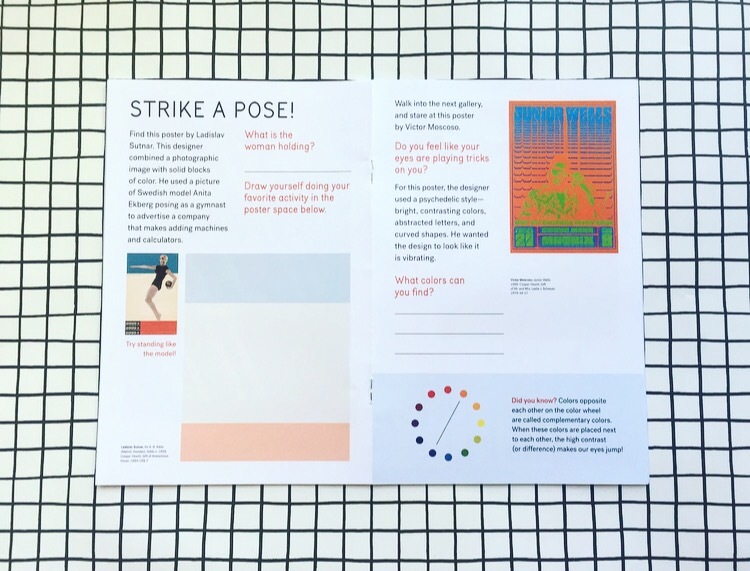 This entry was posted in Adventures, Essay, How-to, Lifestyle and tagged exhibition review, how posters work, how to do an exhibition review, how to exhibition review, MAM, milwaukee art museum, museum, museum exhibitions, museums. Bookmark the permalink.